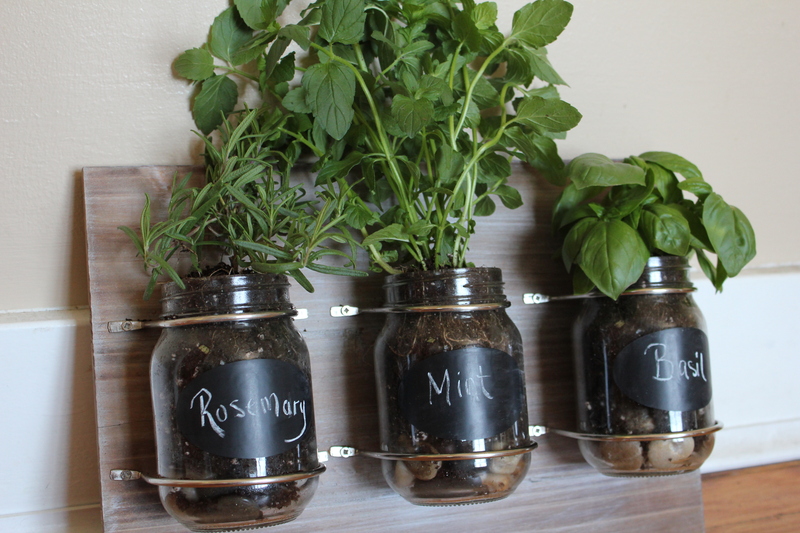 When I shared my indoor herb garden last week, I explained that I want my house to feel bright, happy, and healthy. I love incorporating plants into decor. They add so much texture and color and really breathe life into your home. 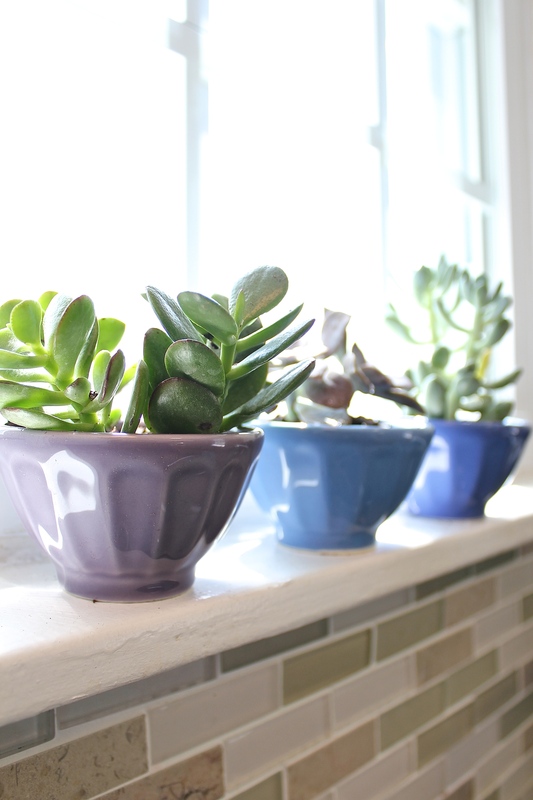 Succulents are great because they are beautiful and super easy to maintain. 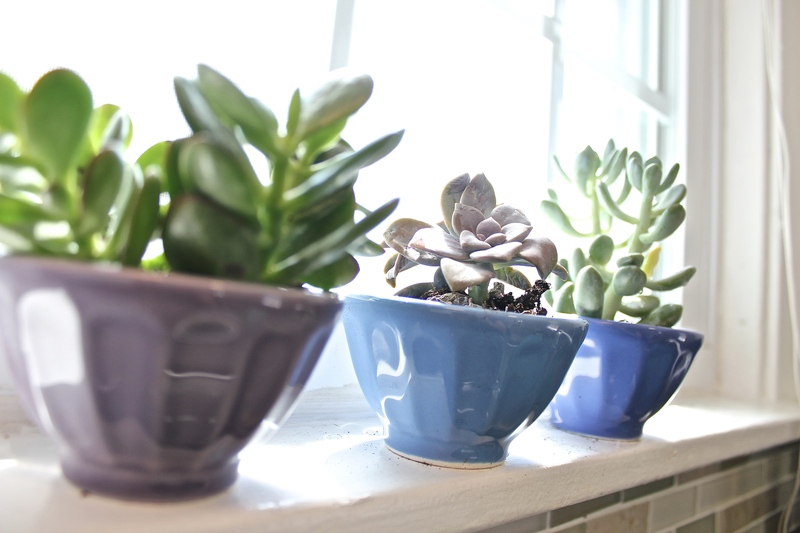 I knew right away that I wanted to have some happy little succulents in my kitchen window. 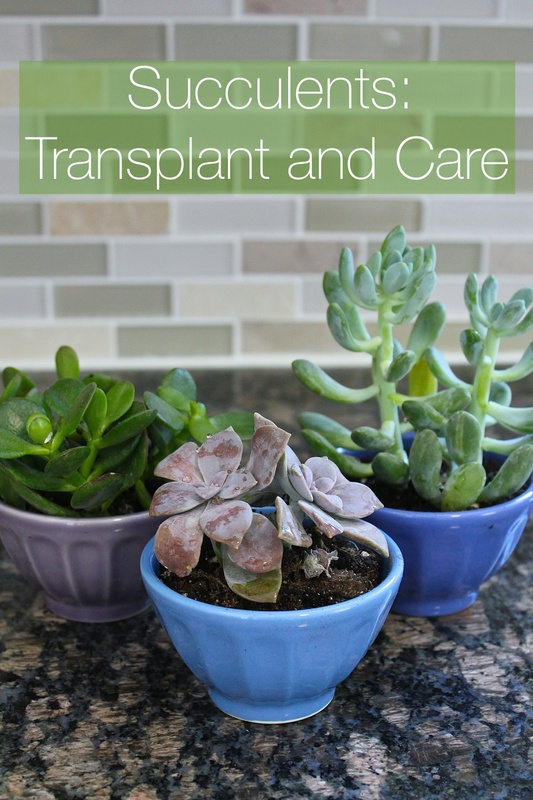 Today I’m going to share some easy tips for caring for succulents and how to transplant them into a container that works with your personal decor. I picked up my plants from Lows for about $3 each. Any major hardware store will carry these beauties year round in their garden center in varying sizes and colors. Then I stopped by Anthropologie and picked up three mini latte bowls, these run at $2.50 each. My goal for the color pallet for Morning Joy is to be bright and feminine using shades of blue, gray, and purple throughout. 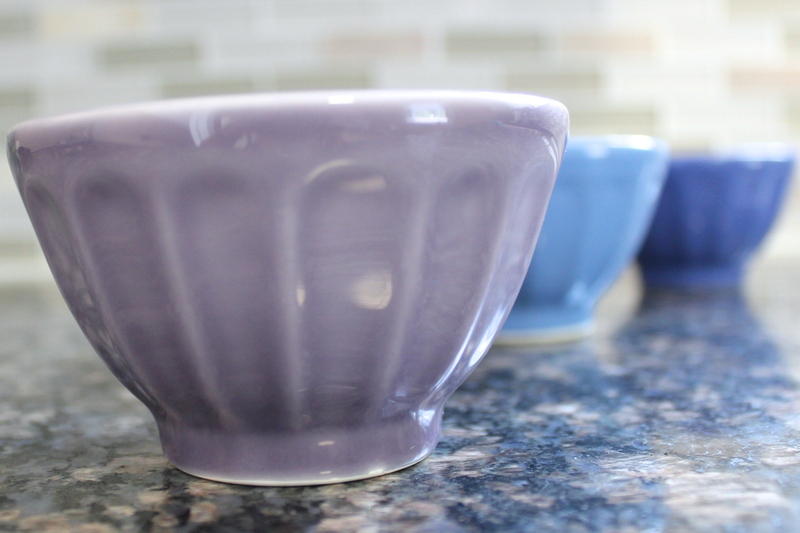 I picked latte bowls that would work with my decor. 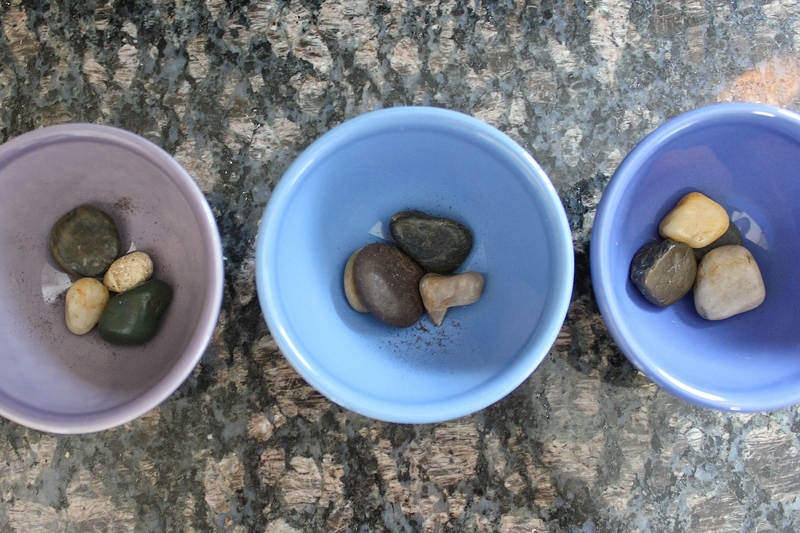 I added some small river rocks into the bottom of each bowl to help with drainage. Then I transplanted the plants into my bowls. I broke up the root balls just a bit and set them on top of the river rocks. Then I used the remaining soil from the original container to fill in around the plant. Easy Peasy! They look so beautiful in my kitchen window! I could just stare at them all day. 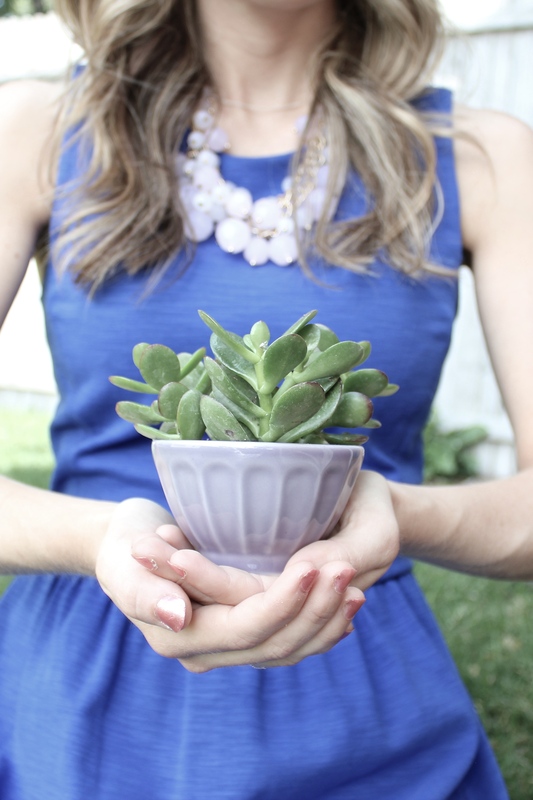 Taking care of your succulents is pretty straightforward. For those of us that lack a green thumb, the key is less is more with these babies. Wait until the soil is completely dried out and then add just enough water to sink all the way through to the roots. I water my plants about once a week, they dry out pretty fast exposed to so much sunlight, and that seems to be working out great! 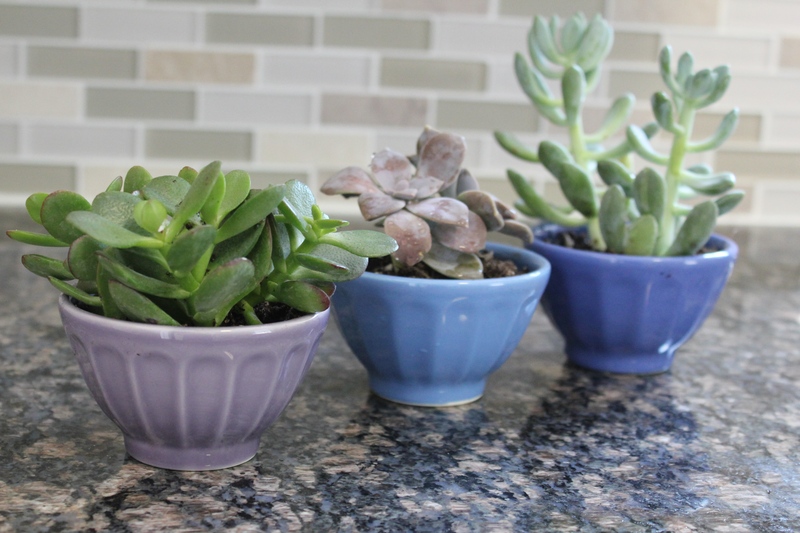 They turned out so cute, I want to put succulents all over my house! What plants to you keep in your home? I am not what you would call “outdoorsy.” When I was little, I remember getting grounded outside on the porch because “go to your room” didn’t really phase me. It was not uncommon for me to fake an injury to get out of shoveling, raking, or playing basketball with my brother. Needless to say I have never mowed the lawn in my life. 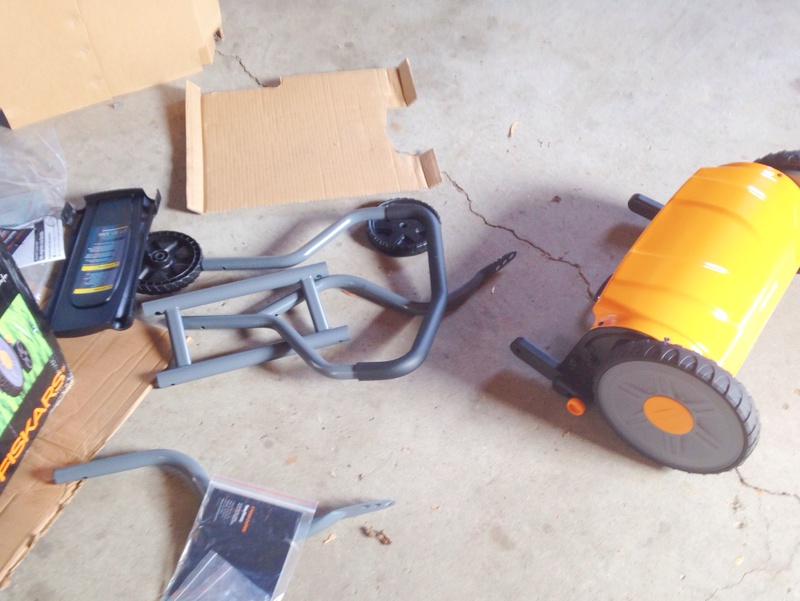 I do own a push mower but I am a tiny girl and cannot get it to start with the pull cord. Do not cut the grass in the morning because it’s still wet from dew. It is so hard to push and it hurts your legs, your arms, and your core. Even though it seems like a good idea to cut the grass super short (level 2 after two weeks of heavy rain) so you don’t have to mow as often… Don’t. It is so hard to push and it hurts your legs, your arms, and your core. No matter what, you need to mow once a week. Walk as fast as you can, it will be over sooner and you actually get a more even cut. A few people expressed concern about clippings since there is no bag on a reel mower. This hasn’t really been a problem for me. The worst was the first time (pictured below from Instagram) and the grass was damp, sticky, and had two weeks of growth. My yard is fairly small, thankfully, and I have only had to rake parts of the back hard twice in the areas that get a lot of shade and the grass seems to really thrive there. I read that leaving small clippings (not the clumps/piles) is actually better for your yard. It isn’t noticeable at all, I just stay on top of mowing once a week and that seems to be working out great. 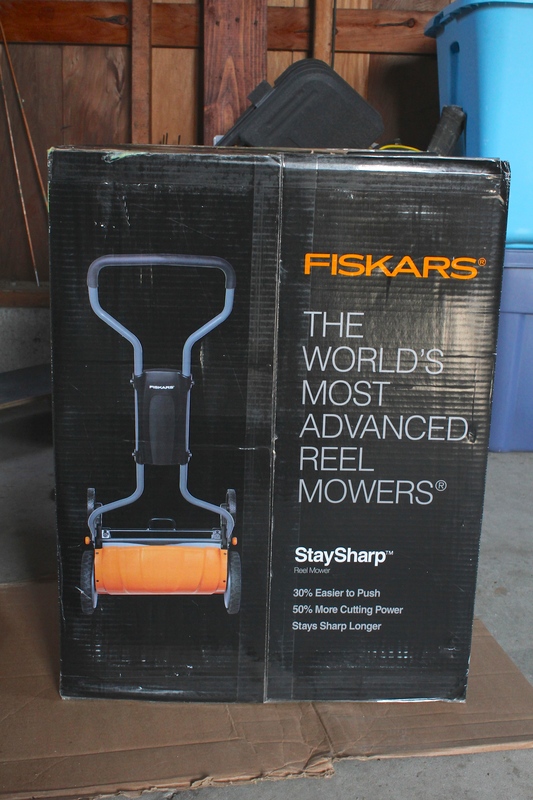 I have had my mower for almost a month and I’m still loving it. I have gotten the mowing time down from an hour to maybe 30 minutes for the front and back yard. For comparison’s sake my dad did the whole thing with the gas mower in maybe 15 minutes. So I still have some room for improvement. But it’s coming along! 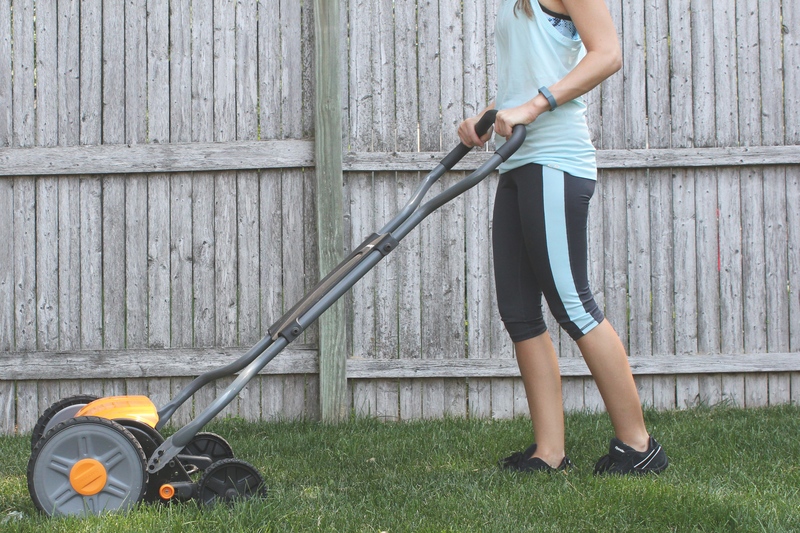 How do you feel about yard work? Do you love time outdoors in your yard or try and get through it as quick as possible? 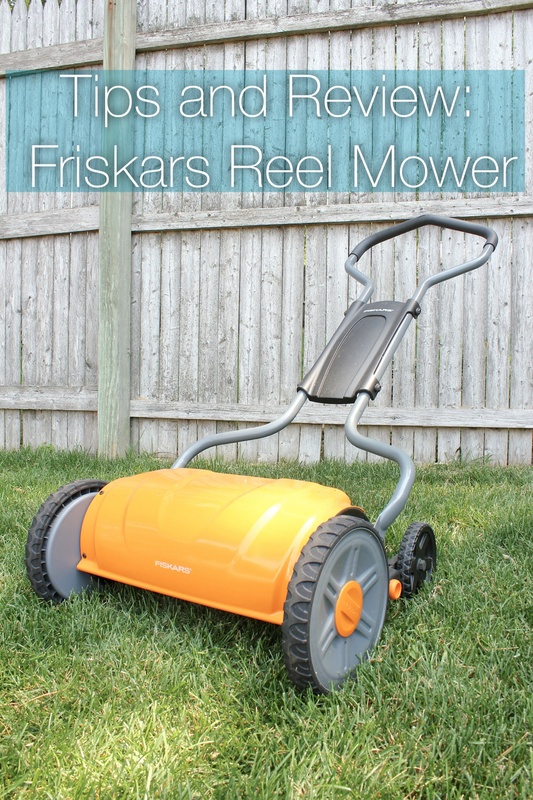 Have you ever used a reel mower? One of the things I love most about my home is the location. 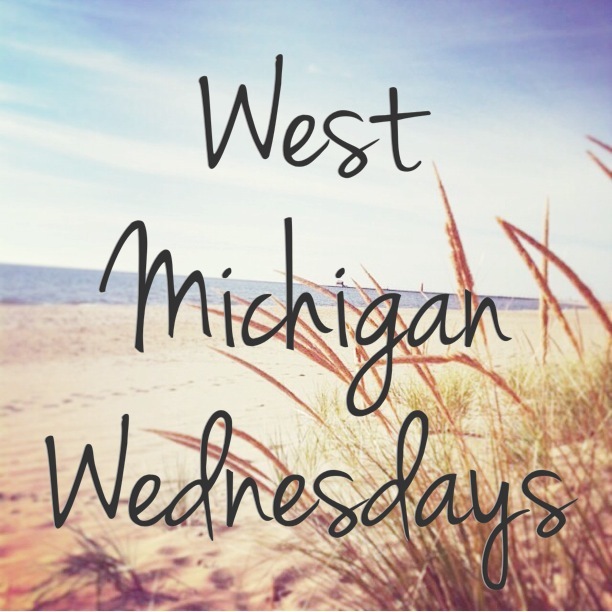 I love it here in West Michigan. So, I wanted to create a series that explores some of the wonderful things that this area has to offer. I have been spending a lot of time in Whitehall this summer working at the Howmet Playhouse. I will be sharing some of the events going on at the playhouse over the next few weeks. But first, I need to take a minute to talk about Ice Cream. Now, I think we should always talk about ice cream but this past weekend was National Ice Cream day and to celebrate I want to share my favorite spots in Whitehall; Pekadill’s! 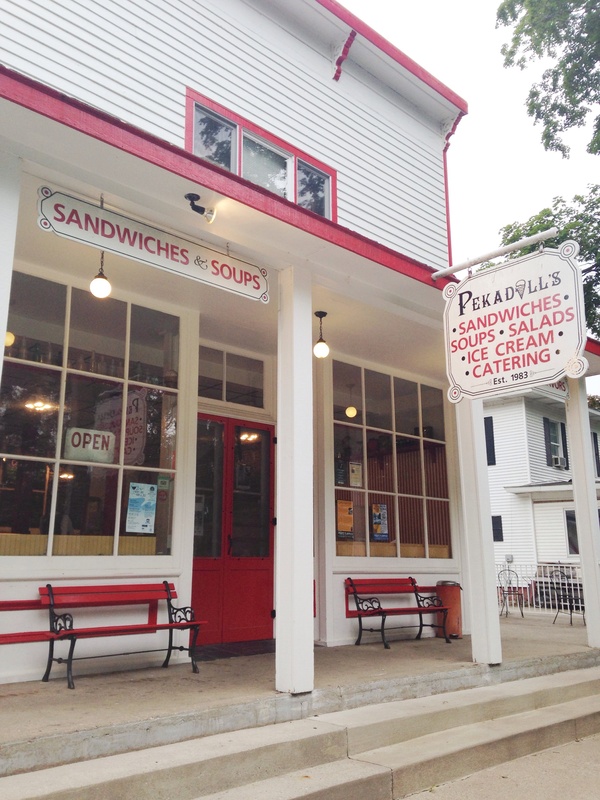 Pekadill’s is a family owned restaurant featuring soup, salads, sandwiches and ice cream. It is located just down the street from the playhouse and is perfect for grabbing a quick bite before a show or rehearsal. The menu has quite a variety with croissants, specialty sandwiches, and wraps. I LOVE their chicken salad sandwich. Honestly, I like it so much I’ve never even thought to try anything else. 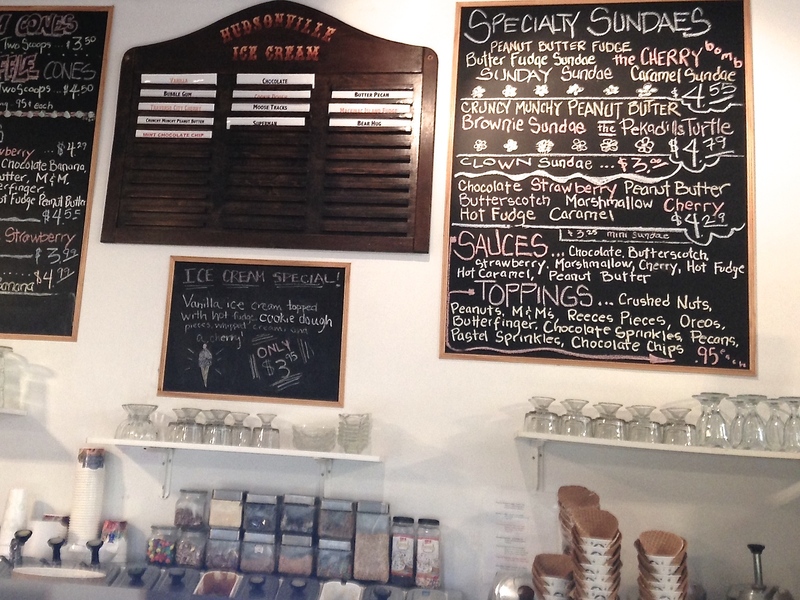 The ice cream is all Michigan-made, Hudsonville hand dipped ice cream. Seriously. So. Good. The atmosphere is adorable as well. Right inside the door is malt shop style seating with poppy red booths and stools facing out the window. Around the back are family style tables and there is a beautiful garden behind the restaurant with outdoor seating. There is such a variety, it can feel like eating somewhere different every visit! I just found out that they are doing BBQ ribs and chicken in the garden every Friday and Saturday from 5-9pm until Labor Day! How fun! I love this place and I recommended it to my parents the last time they were up for a performance and they liked it too. My first job was at the local Malt Shop, so visiting Pekadill’s really takes me back. Be sure to check them out next time you’re in Whitehall! At my last visit, I had a chocolate banana shake. What is your favorite ice cream treat? I want my home to feel bright, happy, healthy, and welcoming. One of the ways I hope to do this is by using live plants in and around my house. I am not a girl with a “green thumb” but I am certainly trying this summer! 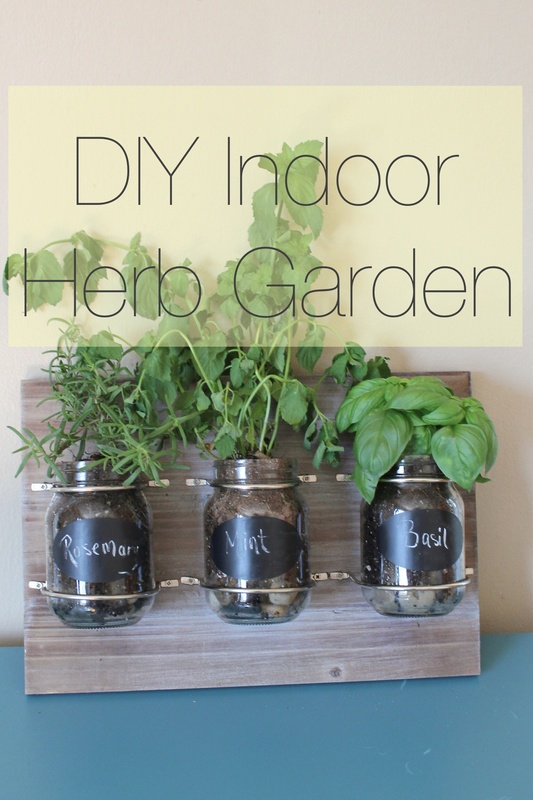 One of the first projects that I tackled was to plant an indoor herb garden. 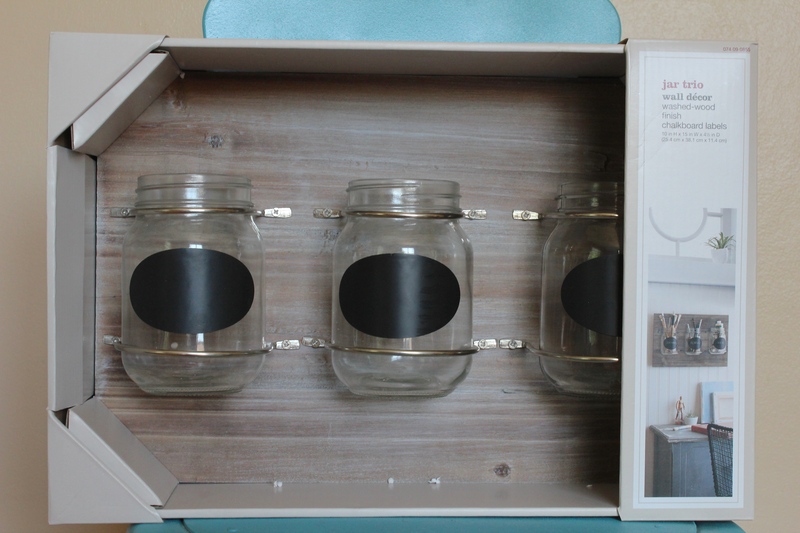 I had seen similar ideas all over Pinterest and so when I saw this mason jar trio at Target I knew it was meant to be! Of course, you could mount your own jars onto a bit of reclaimed wood but for $25 and my lack of tools, I couldn’t pass up this pre-assembled option. I stopped at Lowes and picked up three fragrant and happy plants. 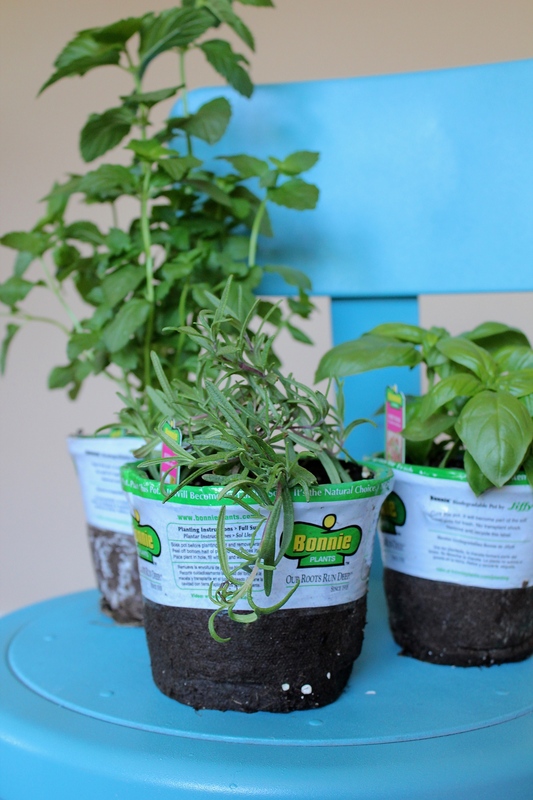 I decided on Rosemary, Mint, and Basil. They smell AMAZING! I placed river rocks in the bottom of my jars to help with drainage. I broke up the root balls a bit and placed my plants inside. They are quite big for the containers so I wasn’t expecting them to last long. I actually haven’t hung them on the wall yet, because I was absolutely sure they would wilt and die. However, I’ve had them for a couple of weeks and they seem to be doing ok. I can’t believe it! I have my plants sitting in indirect sunlight in the formal living room temporarily. If I get brave, the forever home will be on the wall in my kitchen. I have just been using a small juice glass to water every couple of days when the soil starts to dry out. The great thing about this project is if/when I kill these plants, I can always start over with seedlings, succulents (LOVE!) or use them as vases for cut flowers. The possibilities are endless! What plants do you like to keep around your house? 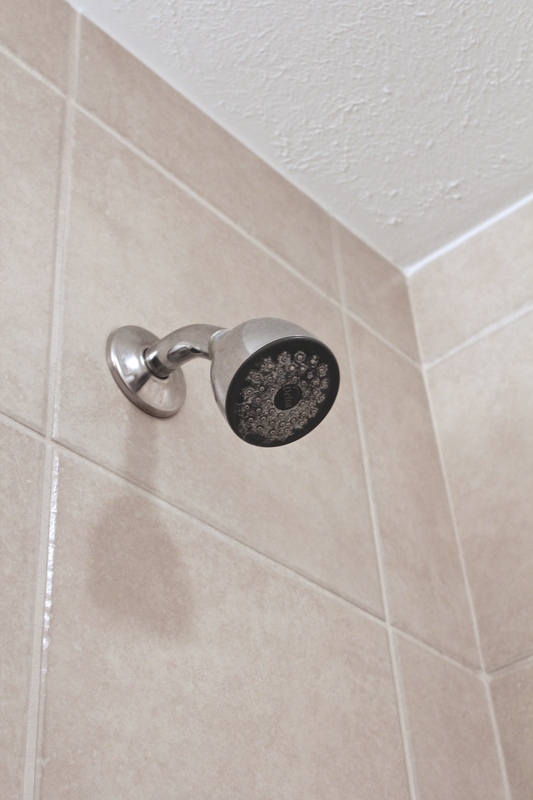 One of the first things I did after buying my house was to change the existing shower head. The one I inherited was older and had quite a bit of build up. Yikes! 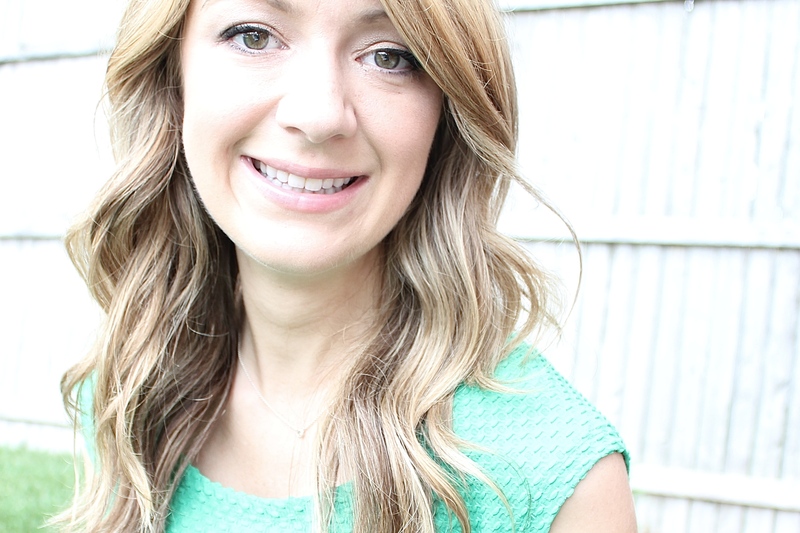 Now, we have all seen great tutorials on Pinterest explaining how to remove buildup using vinegar solutions, but lets get real, I wanted an upgrade! I have always wanted a rainfall shower, there is something about it that seems so luxurious and spa like. 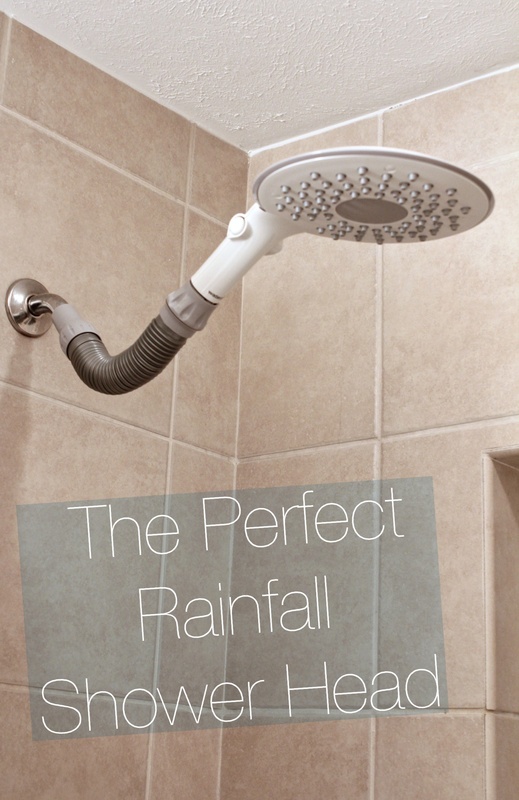 I wanted an inexpensive option to try out and settled on this Waterpic 2 function Rainfall shower head for under $25. With only two functions (rainfall and concentrated stream) it is fairly basic. However, I am really not the type of person to change my settings… I can’t even reach the thing without compromising my safety. This was a step stool in the tub/stand on the shower/window ledge kind of project. Aside from that, actually installing the shower head was very easy. I didn’t need a single tool. I started out by unscrewing the original shower head and removing the gunk/tape/blue stuff that was around the pipe. Then I just screwed on the hose and attached the shower head at the end. I stepped back and it was glorious! So pretty, right!? I jumped in the shower right away! I’m telling you it is like standing under my own happy little rain cloud of success! This update was a super quick, easy, and inexpensive way to make my bathroom feel a little more luxurious. 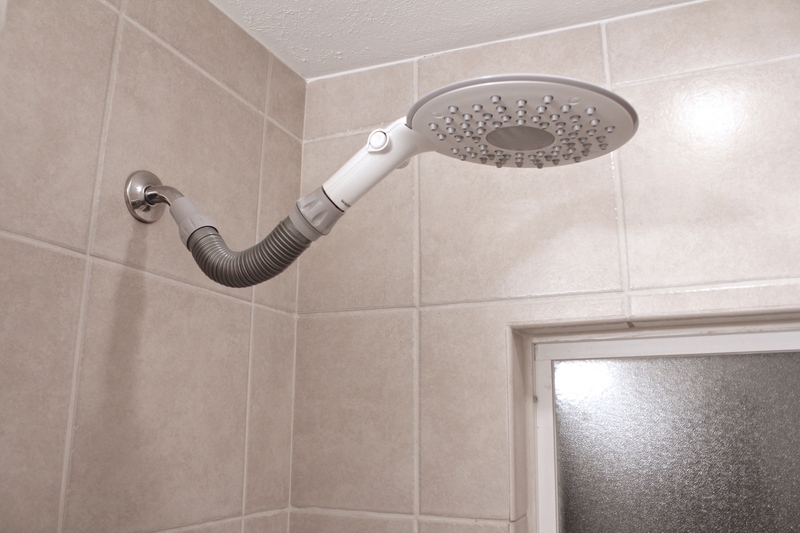 Have you changed out your traditional shower head for a Rainfall? Do you prefer a Waterfall effect or something else entirely?